German scholar of the sixteenth century; author of "Ge Ḥizzayon," an astrological compilation fromHebrew, Arabic, and Latin sources (Neubauer, "Cat. Bodl. Hebr. MSS." No. 2066). He quotes Abraham bar Ḥiyya ha-Nasi, Ibn Ezra, Andruzagar, Albumazar, 'Ali ibn Riḍwan, 'Ali ibn Rajil, Leopold of Austria, Johannes, Guido Bonatti, and, according to Dukes, Copernicus. 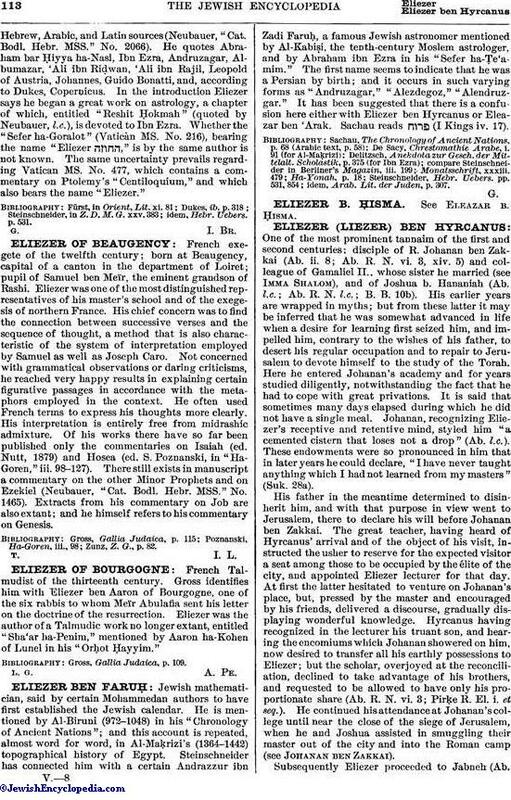 In the introduction Eliezer says he began a great work on astrology, a chapter of which, entitled "Reshit Ḥokmah" (quoted by Neubauer, l.c. ), is devoted to Ibn Ezra. Whether the "Sefer ha-Goralot" (Vatican MS. No. 216), bearing the name "Eliezer ," is by the same author is not known. The same uncertainty prevails regarding Vatican MS. No. 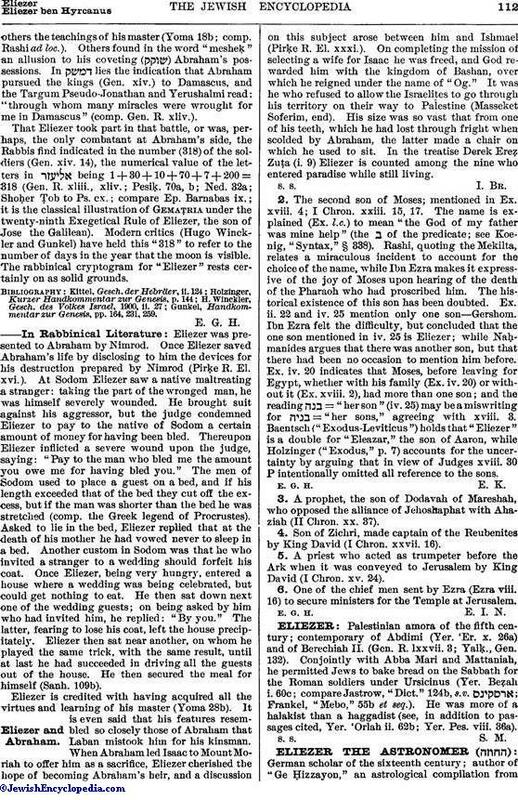 477, which contains a commentary on Ptolemy's "Centiloquium," and which also bears the name "Eliezer." idem, Hebr. Uebers. p. 531.